Beautiful character house with 340 m² of living space, 5 bedrooms, garage and terrace. 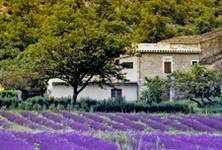 Renting out a holiday home in France throws up several possibilities. You can rent out your own holiday home at times when you are not using it yourself, as long as you are happy to organise your own holidays well in advance, and understand there is no possibility of changing this. You must also make sure you are suited to renting your property to others as, simplistic though it may sound, not everyone's lifestyle is suited to allowing strangers into their home for several weeks or months of every year. And bear in mind that if you are hoping to make any serious income from this it could mean that you only have access to your property during unpopular times of the year, when all the things that attracted you to the area in the first place seem to have vanished for the off season. Many lively seaside resorts become ghost towns in winter, while ski resorts can be similarly affected outside of the snow season unless they have invested in developing a summer season life as well. Why not rent your own property for the season? Some people choose to rent out their own, full-time home in France, moving into a smaller property (rented or bought) for the season. This requires considerable upheaval, but can be done successfully (and can be the most lucrative option if your home is large and well equipped) if only with dedication! If you are planning to do this before you buy the property, consider something rather special, such as a chateau (Owning a chateau in France, The Best Chateaux on the Market in 2011) or large country house. If your property purchase is a business investment and you are not planning to use it for personal use, different criteria apply. Smaller properties such as seaside apartments can be very successful holiday lets, although they would be unsuitable for long term habitation (Apartments and flats in France). 2. Long term rental or short term rental? One of the oft overlooked decisions to make is whether you want to rent your property long or short term. The decision you make regarding this dictates to quite some degree, the location and type of property you need to purchase. Amongst British owners, short term is the most common, with property being rented as holiday lets or gites (Gites for sale). This can be by way of letting out your own holiday home for the periods when you are not using it, by letting out an additional property either in the grounds of your own home or a separate property bought specifically to rent out. Income can be high for good gites in popular areas, but the market can be fickle and you need to budget for lean times as some gite owners have found bookings down in the current difficult financial climate (Owning Gîtes and Chambres D'Hotes (B&Bs) in France). If you are relying on this rental income and the bookings don't arrive, problems can quickly ensue. One option, which avoids this scenario, is to buy a property to rent out long term rather than as a holiday let. The income will be lower, week by week, without the very high amounts payable on holiday rentals in peak season, but the advantage of a guaranteed year round income should be considered. The French are generally a nation of renters with many preferring to rent rather than to buy their own properties, so it is quite easy, as a rule, to find tenants for rental property as long as it is in a suitable location. As ever, that word "location" is of utmost importance. If you are buying property to rent out, it goes without saying that the location needs to be attractive to holiday makers. Properties near to the coast are usually winners, although you need to factor in the purchase price of course, as coastal properties are almost always considerably more expensive than those lying inland. Properties in Paris (Paris Arrondissements Property Guide) will also prove popular, as can be those in prestigious cities such as Nice (Nice Property Guide). Given the popularity of skiing, mountain properties near to ski resorts also rent out well (Ski Chalets for Sale in France). In general, the south of France attracts holiday makers if for no other reason than the climate is good (Weather in France), while Brittany (BrittanyProperty Guide) is ever popular for its beauty and accessibility in spite of the fact that the climate is not much warmer than that of England. Even the less obvious areas such as the Limousin (Limousin Property Guide) and parts of Poitou-Charentes (Poitou-Charentes Property Guide) can be good for this, as long as you make sure that there are nearby attractions such as leisure lakes (Leisure Lakes of the Languedoc - Perfect Property Location? ), canals (Canal du Midi Property - From the Languedoc to the Med), theme parks, beautiful countryside or interesting towns. And of course for some, no holiday property would be worth renting that isn't within easy reach of a boulangerie, café, bar and restaurant. A good public pool nearby may also a necessary facility, especially if the property being rented does not have a pool of its own. So imagine the ideal holiday for your target renters and work from there. Accessibility is another point to consider, with properties within easy reach of airports offering low cost flights from the UK being a good bet for short term rentals (French Connections, Travel France). The matter of access for a long term rent is vastly different. The target market is more likely to be French than British, and potential tenants are looking for a place to live with convenient access to their place of work, to local amenities and for ease of use. Small towns in the suburbs of major cities are ideal, or towns or villages that are close to auto route exits or which have train stations. Types of suitable properties can vary, but often an unassuming town or village house or apartments are surprisingly popular and also frequently cheaper for you to buy. However, if you rent your property for a longer term which includes the 1st January of any year, the Taxe d'Habitation will usually be paid by the tenant. Long term rentals are also subject to strict tenant protection laws, so legal advice is important before entering into any such agreement. Further, insurance policies vary according to the intended use of the property, so again, professional advice is important to ensure that you have everything correctly covered. Assuming that you have decided to go the most popular route and rent out a gite for other people's holiday use throughout the summer season, you need to consider whether to buy a property with a gite on site, in the traditional manner, or to purchase a separate property to rent some distance away from your holiday home as a business investment. The original gites were usually farm cottages in the grounds of a farmhouse, with tenants accepting the hustle and bustle and "mess" of the farmer's life as part of the package. On the plus side, they benefited from fresh eggs and milk handed over each morning, and the farmer's wife would bake a cake for their tea. Nowadays, however, most holidaymakers expect a lot more, with private use of a pool, garden and immaculate surroundings being required. If you are happy to allow this, by all means buy a property with a gite in the grounds or attached to the main house, but do be prepared to have to sit back and watch your renters playing in your lovely pool all the hot summer long while you swelter! Another possible drawback to renting a gite next to your own home is that you are always on hand for the holiday renters to ask questions. This may not sound too onerous but it can become exhausting when you are faced with a barrage of questions morning, noon and night, just because you are there! You really need to be happy to smile at all times, to be polite and to gauge whether or not your clients want you to be friendly and chatty or to maintain a discreet distance while they get on with their holiday if you are living on site. You can set rules, to a point, requiring renters to be quiet after a certain time or during certain hours (many villages issue their own rules about noise levels on Sundays, for example, or during the 12 'til 2 lunchtime period) but you have to accept a certain amount of noise or disruption from your guests who are, after all, on holiday and paying for the privilege! On the other hand, if you live on site, you do not have to travel miles if there is a real problem such as a water leak or malfunctioning pool pump, washing machine or any of the other myriad problems that can crop up. If you spend a lot of the year living in your property you will also have come to know the places to find goods and services at the best prices, and have an awareness of the best providers in your area. If you are buying a holiday home to rent out, the question of maintenance looms even larger than if you are using the home just for your own family. Holidaymakers pay quite high rent for property in France, and in return they expect everything to run smoothly during their stay. If you live on the spot, or even nearby, you can do much of this yourself, but if your own home is either in the UK or another part of France, you have to organise a bank of professionals to cope with the day to day running of the property. You will need to organise someone whose French is good enough to make phone calls to bodies such as France Telecom and EDF, or to call out local professionals such as plumbers (Plumbing in France), electricians (Electrics in France - wiring your house) and even computer technicians in the event of problems. You could, of course, do this yourself from long distance, but as a person may be required to be at the property when such trades people arrive, it is better to have someone local who can do this for you. All aspects of the gite need maintaining to a high standard, so be prepared to deal with all possibilities promptly and be prepared for the cost of this too. Issues such as damp on a back wall may be something that you can live with, but holiday renters may consider it unacceptable. A wasps' nest in the garden or near the pool can ruin a holiday, and requires prompt action if you want to avoid complaints. (The Pompiers no longer deal with such issues, or only at a high cost, so again, professional specialised help may be needed if you can't sort it out yourself.) You will also need reliable cleaners to prepare the gite for a change of client, or of course, to take this task on yourself. While the maintenance of the property during rental occupation is vital, don't forget the off season. You may think that the property will more or less look after itself when unoccupied, but there are still jobs to be done. Pipes can freeze and spring leaks in winter, electricity supplies can fail and any number of appliances can simply stop working in your absence. The garden, if there is one, will need care and attention from time to time to prevent it becoming a wilderness in the early spring (things begin growing sooner in warmer climates), and the pool (which many holiday properties need) has to be treated and prepared for winter as well as commissioned properly before the rental season begins. If you are not living near, you will need to arrange for someone to hold the keys and be prepared to check the property regularly. Although crime in rural France is usually low with break ins rare, properties which are conspicuously unoccupied in the off season can be fair game for burglars as they offer easy access and little chance of being caught. A property which is unoccupied for long periods of time requires more rigorous security, so consider adding security features such as metal window and door guards (they can also be a decorative feature), electric gates and alarms. When seeking a property to rent, no matter what type of rental arrangement you are aiming for, it is indisputable that you have more than your own tastes and needs to cater for. While you may be happy with a ramshackle cottage in the depths of the country, escaping from the world for a precious week or two, the holiday rental market generally has different requirements. It comes in all shapes and sizes, so even if you are buying on a budget and aiming at setting a lower rental charge, you need to think carefully about how your property will appeal to potential clients. To make your property stand out, a USP (unique selling point) is always a good idea. If your home can be described as a "chateau" (there is actually more leeway in this description than you might imagine!) it will attract more enquiries than a "gite". A ski property (Ski property) with ski in/ski out access to the slopes will have the edge on one on just outside the resort, while period properties with original features are also good "sellers" on the holiday market. France tends to attract a quite genteel, usually reasonably well off and educated sort of holidaymaker, so the quality of property is important as opposed to being simply a place to sleep and dump your things in between sunbathing and nightclubbing. As the gite business in France is now somewhat saturated and highly competitive, you will need to plan an advertising campaign to give you the best chance of filling your bookings diary. The internet is now the most popular way to reach your potential market, and there are many dedicated sites to help you do this effectively. Some companies offering this service are better than others, so do some research and see for yourself which ones come to the top of the search engines like Google. Most people will only read the first two or three pages of search results, so it is important to find a site that is expert in SEO (Search Engine Optimisation). The importance of a good advert cannot be overemphasised and professional help from a web designer, photographer or content writer may be a sound investment in the end. France has still a great number of renovation properties available to buy, and they have a great appeal for British buyers who like the potential for increasing the value as well as restoring a property to their own standards and specifications (House Renovations in France). These properties can often be bought very cheaply, but if your intention is to gain an income from renting the property out, you need to be very organised in your renovation plans. Things in France have a way of taking a lot longer than expected, partly thanks to the bureaucracy that is an essential (if irritating!) part of French life (Life in France). French companies (although usually working to high standards of craftsmanship), do not always have the same ethos of customer service as British people are used to, and tales of builders/ deliveries that fail to turn up at the allotted time are rife (Builders in France). If you are doing the work yourself, you need to be sure that you satisfy the legal criteria (for example, a qualified electrician may be required to install the electrics), and you must also allow extra time for possible problems. Does your budget cover this renovation period, or will you need to let out the property sooner rather than later to cover costs? It may pay, in the long run, to buy a renovated property where someone else has taken on the work and the uncertainty of timescale so that you can claim your rental income from the word "go". Buying a property to rent out, may sound quite a simple proposal, but as the above shows, there are many complexities within the concept and plenty to think about in order to ensure the right decision is made.